Want the best anti-inflammatories to soothe that pain and redness? We've done the research and here're the most commonly meds you should try! When your body is attacked by infection or has other damages to the cells, the immune system begins to heal your body by releasing chemicals that cause inflammation at the site of the problem. This process is vital to keep you healthy, but inflammation can lead to pain and swelling. Those best anti-inflammatory medications on the market can help reduce the signs and symptoms of inflammation by decreasing the release of those chemicals or by having a direct effect on the site of the inflammation. Anti-inflammatory medications, or "anti-inflammatories" as they are often called, decrease both pain and inflammation which can work quickly to make you more comfortable. For example, the use of aspirin to prevent heart attacks and decrease the effects of a heart attack is well documented. 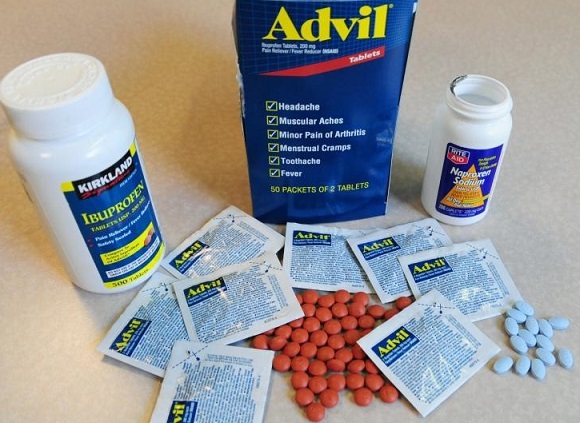 Aspirin and ibuprofen are also commonly used to bring down a fever that may be associated with inflammation and infection. Those best anti-inflammatory medications you've usually heard of can be used to treat any pain or discomforts caused by an inflammation including headache, muscle aches, toothache and what not. Steroids. Steroids include drugs such as prednisone, dexamethasone and hydrocortisone. These anti-inflammatory medications are typically used for only short periods so side effects are minimized. Prednisone works as an anti-inflammatory by reducing the swelling and redness of skin. Dexamethasone works by increasing the production of other chemicals that reduce inflammation. Hydrocortisone is a steroid that suppresses the immune system, thereby minimizing the inflammatory response. NSAIDs. The non-steroidal anti-inflammatory drugs include over 20 kinds of drugs including common drugs such as aspirin and ibuprofen. Known by many brand names, the NSAIDs are well-known for combating pain and high fever; however, in high doses these medications act as potent anti-inflammatory medications. These medications are discussed in more details below. ImSAIDs. The Immune Selective Anti-Inflammatory Derivatives are a relatively new class of anti-inflammatory medication that act by blocking the inflammatory cells that typically increase the inflammatory response. Although currently being used primarily in veterinary medicine, this class of drugs may hold promise for human use. So, what are the best anti-inflammatory medications that do not need a prescripation? 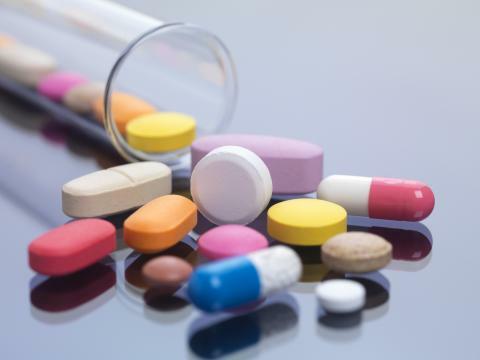 Most healthcare providers prefer to give you the drug they use most; however, they will also advise you to start with one of the drugs and change to another until you find the medication that works best for you and your inflammation. For example, you may find that what works best for muscle inflammation is not the same medication that works best for a toothache. Besides, before taking any of these medications, you should also be aware of the risks associated with them. As with all medications, if you are allergic to any of the ingredients, you should NOT take the drug. Ibuprofen. Commonly known by the brand names Advil or Motrin, ibuprofen is often the first choice of clinicians for treating inflammation. Some studies show that ibuprofen offers exceptional anti-inflammatory properties when compared to other medications. While doses vary depending on your weight, you will typically have to take ibuprofen every 4 to 6 hours to control inflammation and the pain associated with it. The risks from chronic use of this medication include bleeding and the possibility of liver damage. Aspirin. Marketed under many brand names, most people simply refer to acetyl salicylic acid (ASA) as aspirin. Most people are well aware of the protection aspirin may offer for cardiac patients, and it continues to be one of the cheapest and most effective anti-inflammatory medications. Readily available around the world, aspirin is a great medication for most inflammatory processes including toothache, headache, and muscle aches and pains. Again, long-term use of aspirin can lead to "blood thinning" and a tendency to bleed easily, so chronic use of high dose aspirin should be avoided. Naproxen. Among those best anti-inflammotary medications, this one should be mentioned, definitely. Known by the brand name Aleve, naproxen is a common NSAID that is recommended to treat inflammations that cause low back pain. In addition to being a potent anti-inflammatory, naproxen can provide relief of inflammation and pain for as much as 12 hours, making it an excellent choice for those who do not want to take a medication every 4 to 6 hours. Chronic use of naproxen can cause bleeding and circulatory issues that can lead to bloody vomit or stools, chest pain, vision problems, or shortness of breath.